One of the excitements of exploring East Anglian churches is that there are so many of them, and you can sometimes find things that the guidebooks missed. I never compliment Pevsner and Mortlock on how much they get right, and I am always quick to point out when they have missed a feature; a bench end carving, a wall-painting, a royal arms of interest, etc. Both writers are, of course, absolutely essential to anyone exploring this region. Mind you, it is great fun when you find something they both missed out altogether. St Peter, Stow Bridge is a case in point. Peter Stephens pointed it out to me - it is clearly there on the Ordnance Survey map, but not mentioned in either of the two major guides. This may be because it is concealed by trees; also, perhaps, that this is a remote area, but Pevsner did spot the even more obscure church of Marshland St James a couple of miles off. 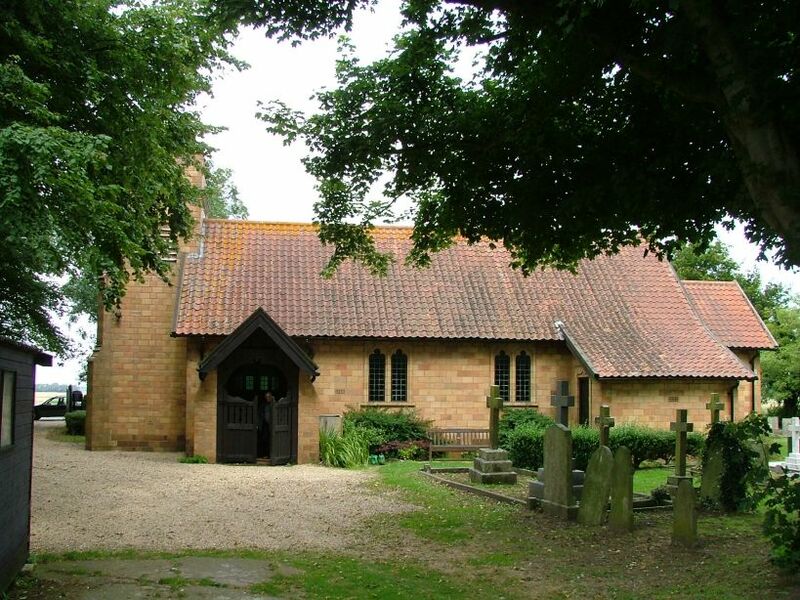 It is a pity to miss St Peter, because it is quite unlike any other East Anglian church. 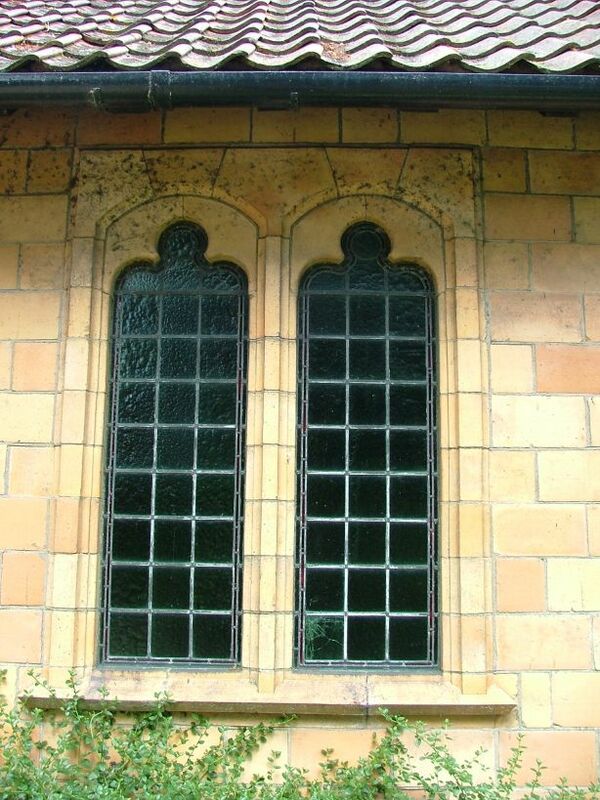 It was built in 1910 as a chapel of ease to Stow Bardolph, in which parish this is. The unknown architect used glazed terracotta blocks in a kind of dolls house style, a genre which would, rather unfortunately, be adopted by Urban District Councils the land over for municipal public lavatories during the next few decades. 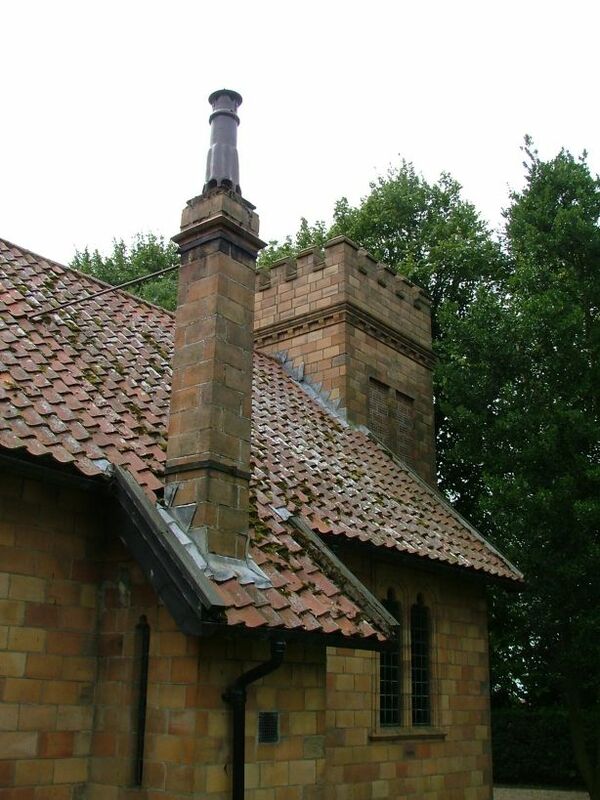 However, there are added little details like the little castellated tower and the fairy-tale chimney pot. 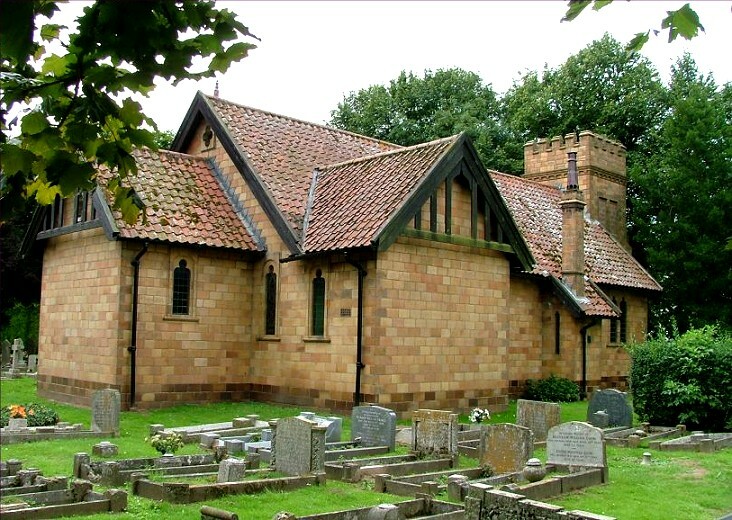 I am told that there is also good glass inside, and the church is still in use as part of the Stow Bardolph group of parishes; but unfortunately, like so many modern churches, St Peter is kept locked, which is a shame.